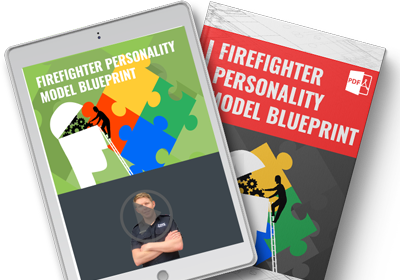 The Personality Profiling test snuffs out thousands of Firefighter Dreams each year. Get this free valuable information so your dream can live on! You’ll know what the profiling questions are really getting at, so you can spend your time preparing instead of worrying. Fire services want evidence of extreme stress tolerance. What are the other 7 traits where you need to score the highest ratings possible? Discover if you have what the Fire Services are looking for in Crew Leaders, Captains, and Chiefs. HOW YOUR CHARACTER IS "CALCULATED"
Recognize when questions are unveiling your character ... and know how to answer them. I want my FREE Personality Profile Blueprint now! The problem is, you're faced with a long-winded test that can seem tricky to answer. You're not sure if you're putting across the person they want. If you understand what's happening, it becomes less frightening and stressful to approach it. Go from being frustrated and not knowing what to do, to knowing exactly what to do to SMASH the test." Do you want to SMASH the profiling test? Psychological profiling is a devious enemy if you don't understand it ... but a powerful ally when you do!